I currently work as a mental health therapist in a children’s psychiatric residential treatment facility (PRTF). I first became aware of this culture during my therapy internship four years ago. Since that time, I have developed a better awareness of the multiple and complex issues that this culture experiences and helpful healing aids. I have chosen three miniatures to symbolize the elements within this culture. The first symbol is blood, which represented “the pain.” The second symbol is a caged bird, which represents “the people” (clients that I serve). The last symbol is a butterfly to signify “the plan of hope.” Together, these represent the three P’s: The Pain, The People, and The Plan of Hope. The blood is symbolic of the physical and psychological pain that this culture has experienced and continues to re-enact. Pain includes trauma, emotional, physical, and/or sexual abuse, neglect, complex grief, aggression, addiction, psychosis, low self-worth, and depression/anxiety. Children and adolescents in psychiatric residential treatment facilities are there due to unsafe behaviors in the community towards themselves and others. Clients usually act out their pain in unhealthy and damaging ways and have treatment modalities (i.e., individual, group, family, recreational, educational, milieu therapy) focused on helping them channel and cope with their pain. Ironically, in the Penguin Dictionary of Symbols, blood is “universally held to be the medium of life” (Chevalier & Gheerbrant, 1996, p. 100). Much of the larger society is unaware of these facilities, the people that live within them, the challenges that the clinicians face who work with this culture, and the pain that exists within the walls of the buildings. Ultimately, it benefits this culture to understand that they are a part of humanity and have blood flowing through them that created and sustains their life. However, the disparity is that this concept is usually totally the opposite of this culture’s perceptions because they typically devalue themselves and believe that they are worth nothing due to the trauma that they have experienced, the way that caregivers treated them, and mistrust towards feeling safe and being cared for. In sum, blood in the sand tray can represent the pain and sustainment of human life. It is utilized to reframe the understanding of pain into something that ensures we are still living, reminds us that we can still heal, and provides us with hope that it will not last always. I chose the caged bird to represent the children and adolescents who reside in psychiatric residential treatment facilities. Maya Angelou’s book, I Know Why the Caged Bird Sings, is a great read that provides an analogy of what it means and feels like to endure trauma and struggle to find and utilize the internal strengths and power that exist within the soul. The caged bird feels trapped, isolated, and voiceless due to being used, misused, abused, neglected, abandoned, and forgotten. “The people” may also include caregivers who provide services to this culture, as they are often targeted by the displaced anger of children/adolescents who are traumatized and may have experienced trauma themselves in their past or from current displacement of resident’s anger. In the Penguin Dictionary of Symbols, the bird can symbolize the following: “the links between Heaven and Earth; as a synonym for forewarning and for a message form Heaven; the soul escaping from the body; angels and higher forms of beings; violent, uncontrollable, primordial willfulness; able to sing and dance, but unable to eat or to breathe; living symbols of divine freedom, liberated from such earthly constraints as heaviness; messengers of the gods; sang so sweetly that they awoke the dead and put the living to sleep (death); have a language; symbolize strength and life; souls in general freed from their earthly bonds and flying back to their heavenly home, but specifically children’s souls” (Chevalier & Gheerbrant, 1996, p. 86-90). In working with this culture, the bird can be used in the tray to bridge past trauma to present strength and freedom to future hope. A powerful tool for the caged bird is using the sand tray to discover its voice via engaging in exploration, self-discovery, and healing. 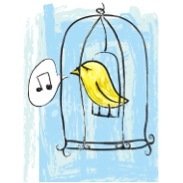 By telling/speaking/singing in the tray, the caged bird sets new boundaries and discovers life beyond its cage. By finding its own voice, the shackles and secrets are broken and it permits itself to sing aloud to experience freedom from the captivity that others have placed on it. The butterfly is symbolic of counseling service and safe/supportive adults that provide this culture with a safe outlet to explore hope. In the Penguin Dictionary of Symbols, the butterfly can signify multiple things in multiple cultures, including the following: “an emblem of womanhood; its metamorphoses… symbol of resurrection, or one might rather say of rising from the grave; the expression of a wish for long life; the soul freed from its covering of flesh… to become both blessed and a blessing; associated with ideas of sacrifice, death and resurrection” (Chevalier & Gheerbrant, 1996, p. 140). About a year ago, I went on a trip to Callaway Gardens and received the opportunity to visit their butterfly exhibit. From birth, this creature’s resilience and sustainment of life is tested to the max. It has to survive infancy, struggle in the cocoon, change into another creation, and break free from its cage by flying away. 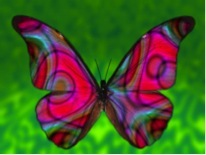 A butterfly (hope) is critical to this cultures continued resilience and safe existence. This culture has survived their experiences and some have even taken the risk of engaging in counseling, seeking support, and finding inner strength to enjoy freedom from their pain. Counseling with this culture changes and challenges their entire view of the world. They learn how to turn past trauma into being a blessing and giving blessings. Their flight as a butterfly symbolizes their change, survival, and strength. It is also a testimony that they will not let their past keep them captive and that their resilience will keep them strong and free. In conclusion, I am dedicated to helping children and adolescents who have endured abuse, neglect, and complex grief via my clinical work at a children’s psychiatrist residential treatment facility. I practice providing patience, joy, love, and hope to a group of children/adolescents who have been deprived of it for years on end. My goal is to empower those who feel disempowered, create value in those who feel invalidated, and spread joy infectiously whenever possible. By understanding the blood as representative of pain and life, the people as caged birds, and the butterfly as the plan of hope, the clients and clinicians are enabled to validate and embrace this culture holistically… with all of its sacrifices, injustices, struggles, traumas, exploration, entrapment, strength, courage, change, freedom, blessings, and hope.